You witnessed the media stir. Heard about it on the radio and read about it on the news. For the past four Fridays you lined up on the Fountain Terrace for your chance to get inside the wondrous and elusive Starbox. 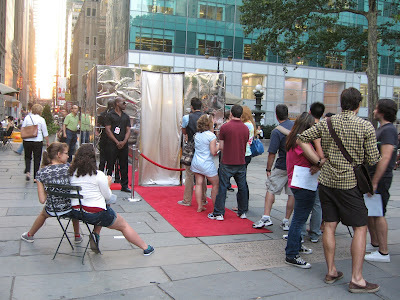 Along the way you met Shorts, the befuddled assistant, you saw two chirping girls besotted with the idea of meeting a real live star, and you may have even sang along with a street performer keeping you entertained through the wait. But if you didn't make it to the park, you may still be asking the big question....who was inside the Starbox? The answer from Art.Party.Theater.Company, creator of Starbox, is “the biggest star of all"…you! The show was going on all around as you waited and you played a bigger role than you may have realized. By engaging in the work of art that was unfolding, you became the star of your own experience, hopefully an enjoyable one! 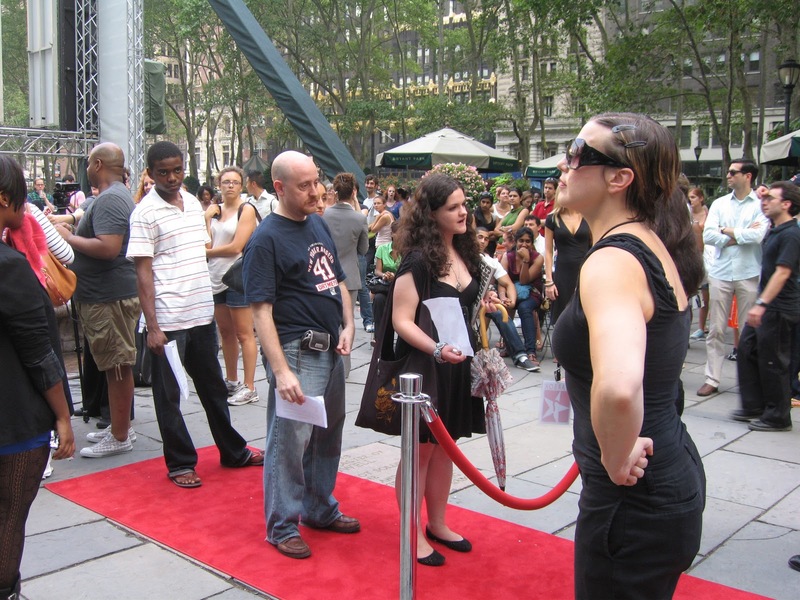 You may not have met Cameron Diaz inside, but you did star in your very own public theater display and became an integral character in the story of someone waiting on line behind you. And that is a truly unique New York experience.